That’s how you feel after you’ve been attacked by a narcissist who is actively gaslighting you. 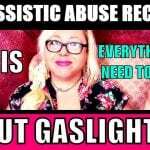 As someone who has personally survived despite being abused by a narcissist in a relationship and a certified life coach, I recognize that need to find your center again after being attacked by a narcissist. You feel numb, broken, empty – like a shell of your former self. The world feels hollow and you find yourself feeling completely devastated by the selfish, callous and cold treatment you’ve just suffered. You know that SOUL-CRUSHING feeling? Like, the narcissist’s behavior becomes so outrageous that if you weren’t there, you might not have believed it yourself? Yeah. That’s what this kit will help you get over – that feeling of being completely, utterly and extremely alone in the world…the feeling of empty, hollow, nothingness that comes along with having been emotionally abused by a narcissist. For years, I searched for answers and found nothing that offered me relief from the pain of these kinds of attacks. 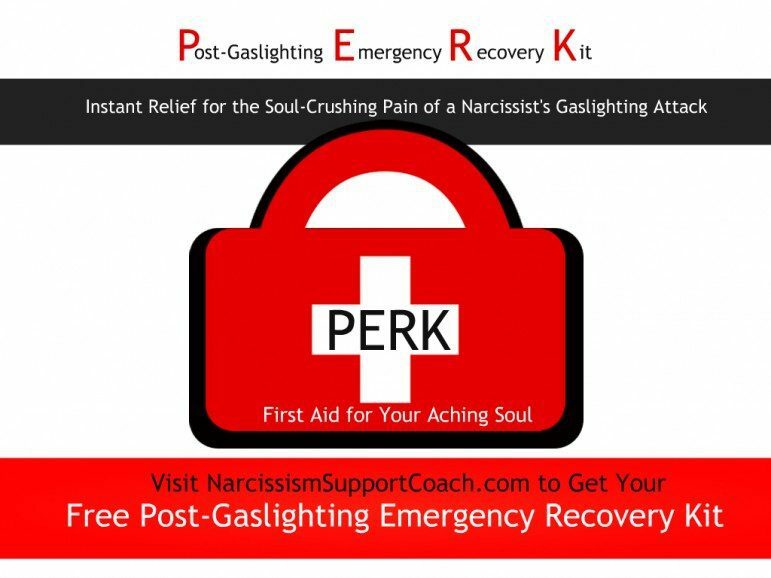 That’s why I’ve created the all-new PERK – that’s Post-Gaslighting Emergency Recovery Kit. It’s a sort of “first-aid kit” for your aching soul. Even better, I’ve decided that this one is too important and too IMMEDIATELY necessary to sell it. I want to get it into the hands of as many victims of narcissistic abuse as possible – because honestly, we ALL deserve better. And this free downloadable kit will help you to do exactly that. Visit NarcissismSupportCoach.com for additional information, or just download your free PERK right here.